The Gruppo Treesse Milo by Alessandro Lenarda is a two seater bathtub that experiments with the combination of disparate elements and different shapes styled together in an unconventional, Japan inspired design. 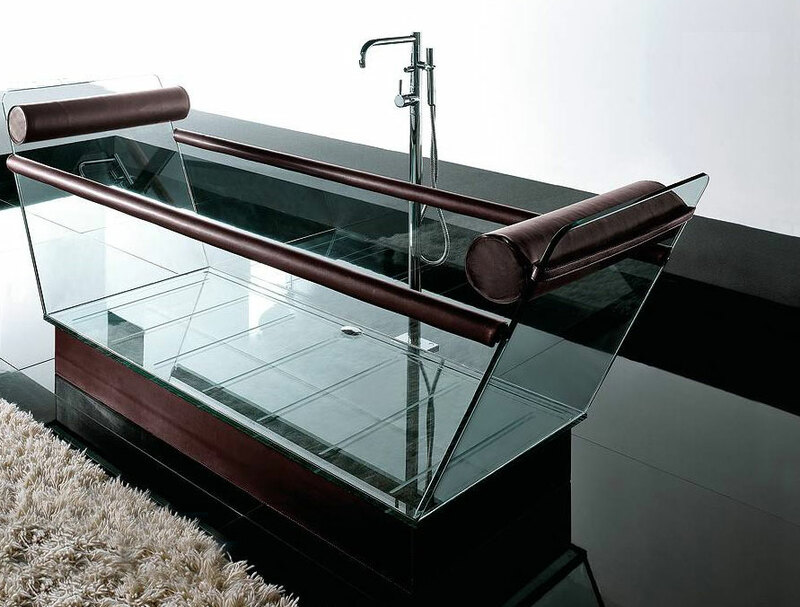 Milo is about geometric perfection, experimentation with glass, the appeal of a private alcove brought into full view. Milo is the difference that lies in exquisite details. It comes with a no-slip bottom, leather or wood headrest and drawer, and available in four fashionable colors; orange, red, black, and white.